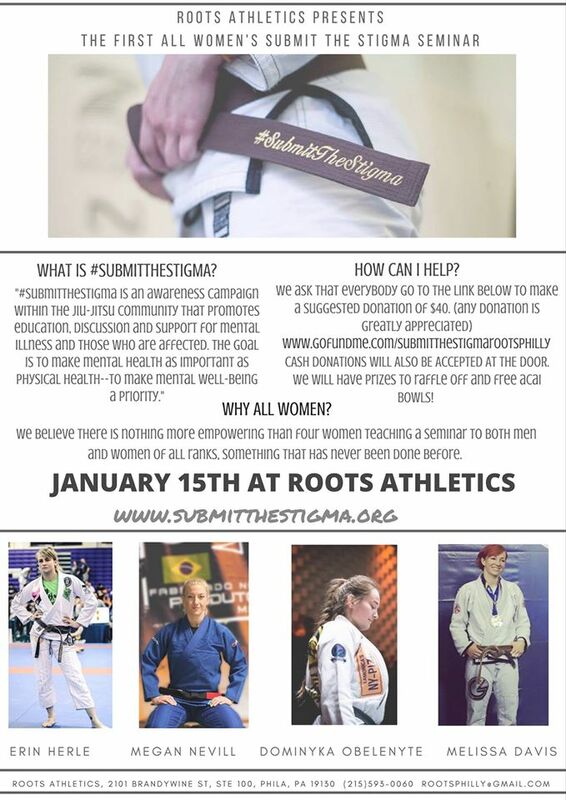 This Sunday, January 15th, Roots Athletics will be hosting the first ever Women's Instructed Submit The Stigma seminar. We believe that having four strong, world class ladies leading a group of men and women, of all belt ranks, is very empowering. We invite all of you to join us this Sunday to support a great cause, all while meeting and training with new faces from all over the Northeast.